Former Norwegian Prime Minister Gro Harlem Brundtland was the target of much attention in Rio de Janeiro this week, at the latest international climate conference organized by the United Nations. Brundtland was honoured as the person who got the ball rolling even before the first major climate conference in Rio 20 years ago. 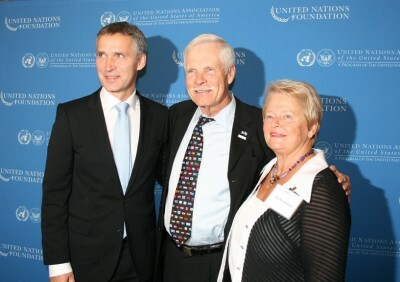 Wirth made his comments at a banquet arranged by the UN Foundation at a hotel in Rio. 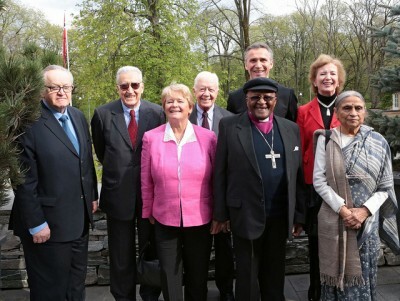 He also called Brundtland an “extraordinary global person,” on the eve of the arrival of government leaders at Rio+20. Among them was Norway’s current prime minister, Jens Stoltenberg, while the roughly 50,000 delegates at the conference also included climate experts, business leaders, environmentalists and volunteers. Stoltenberg was due to take part in meetings June 20-21 that would dwell on so-called “green economies,” preservation of rain forests and concrete measures to increase energy supplies to poor countries while reducing carbon emissions. The conference in Rio in 1992 approved the climate convention that formed the foundation for international cooperation aimed at halting climate change. It followed the landmark UN report from 1987 entitled “Our Common Future,” which had been written by a UN environmental commission headed by Brundtland at the time. She also took part in the 1992 conference, while serving as Norway’s prime minister. First, though, she had to acknowledge the accolades from environmental activists like Wirth, CNN founder Ted Turner and British entrepreneur Richard Branson, who sat next to Brundtland at the dinner. “She is absolutely a remarkable woman,” Branson told NRK. Susan Bass of The Earth Day said everyone was “honoured to be here to celebrate one of the icons of the women’s environmental movement.” The woman most Norwegians refer to as simply “Gro” appeared pleased, but has also said all the attention she receives can be tiring, and she made it clear she’s not impressed with what delegates at the conferences have achieved so far. “What’s coming out of here is much too poor, in relation to what could have been done, unfortunately,” Brundtland told NRK. In typical, critical “Gro” style.